Introduction: This is a work in progress. It is a section of a larger work on the various levels of magisterial teaching, the assent due to each, and where Vatican II fits into these categories. According to standards presently employed by the Holy See and codified in Canon Law, there are three kinds of magisterial statement, three levels of authoritative teaching which establish the “the order of the truths to which the believer adheres.” They are (1) truths taught as divinely revealed, (2) definitively proposed statements on matters closely connected with revealed truth, and (3) ordinary teaching on faith and morals. A fourth category, ordinary prudential teaching on disciplinary matters, is commonly accepted by theologians and can be inferred from the text of Cardinal Ratzinger’s Donum Veritatis. We will explain each of these categories in terms spelled out by Vatican I, Vatican II, the 1983 Code of Canon Law, and a series of documents produced during the pontificate of John Paul II: That Holy Father’s 1998 Apostolic Letter, Ad Tuendam Fidem (ATF); two accompanying documents issued by the Congregation for the Doctrine of the Faith (CDF) that same year: Profession of Faith and the Oath of Fidelity on Assuming an Office to Be Exercised in the Name of the Church (PF) and the explanatory Doctrinal Commentary on the Concluding Formula of the Professio Fide (DC); and the CDF’s 1990 document, Donum Veritatis, subtitled Instruction On The Ecclesial Vocation of the Theologian. These last four documents collectively form a high-water mark in the development of the categories we are studying. In 1989, the CDF published a Profession of Faith and Oath of Fidelity to be made by all those assuming offices of authority in the Church. The Profession contained in this document was comprised of the Nicene-Constantinopolitan Creed and three paragraphs which touched upon the three levels of belief now under consideration. This was the first time these precise distinctions made their way into the disciplinary practice of the Church. In May of 1990 the CDF issued DV, which explained these three categories in the specific context of the ecclesial vocation of the theologian. This document went into “the problem of dissent” from the magisterium and the “collaborative relations” that theologians ought to have with the Holy See. Because the 1983 Code of Canon Law did not mention the second category of teaching, the Holy Father deemed it appropriate to insert a paragraph concerning its authority in Canon 750. It is likely that he was motivated to do so by the criticism leveled against the Profession by theologians who pointed out this lacuna in Canon Law. The insertion into the Code was done motu proprio by Pope John Paul in ATF. The next month (June of 1998), the CDF published its Doctrinal Commentary which elaborated on these three distinct categories. In order to get a firmer grasp of this fully-developed taxonomy, our summary will list some exemplary teachings from each level. Wherefore, by divine and catholic faith all those things are to be believed which are contained in the word of God as found in scripture and tradition, and which are proposed by the church as matters to be believed as divinely revealed, whether by her solemn judgment or in her ordinary and universal magisterium. For concrete examples of the first level of teaching, we will look to a non-exhaustive catalogue given in DC 11: the articles of the creed, the Christological dogmas, the Marian dogmas, Christ’s institution of the sacraments and their efficacy to impart grace, the Real Presence, the sacrificial nature of the Mass, the divine foundation of the Church, the primacy and infallibility of the Roman Pontiff, the existence of original sin, the immortality of the human soul, the immediate recompense after death, the inerrancy of Holy Scripture, and the grave immorality of murder. This second paragraph of the Profession of Faith is of utmost importance since it refers to truths that are necessarily connected to divine revelation. These truths, in the investigation of Catholic doctrine, illustrate the Divine Spirit’s particular inspiration for the Church’s deeper understanding of a truth concerning faith and morals, with which they are connected either for historical reasons or by a logical relationship. Every believer, therefore, is required to give firm and definitive assent to these truths, based on faith in the Holy Spirit’s assistance to the Church’s Magisterium, and on the Catholic doctrine of the infallibility of the Magisterium in these matters. There are theologians who, in elucidating this category, fail to mention that it is infallible. Because of this shortcoming – and because this category of belief encompasses many areas of doctrine Traditionalists would see as being overlooked today – it seems necessary to bring out from our sources the clear proofs of the infallibility of this second gradation of doctrine. In the case of a non-defining act, a doctrine is taught infallibly by the ordinary and universal magisterium of the Bishops dispersed throughout the world who are in communion with the Successor of Peter. Such a doctrine can be confirmed or reaffirmed by the Roman Pontiff, even without recourse to a solemn definition, by declaring explicitly that it belongs to the teaching of the ordinary and universal magisterium as a truth that is divinely revealed (first paragraph) or as a truth of Catholic doctrine (second paragraph). Consequently, when there has not been a judgment on a doctrine in the solemn form of a definition, but this doctrine, belonging to the inheritance of the depositum fidei, is taught by the ordinary and universal magisterium, which necessarily includes the Pope, such a doctrine is to be understood as having been set forth infallibly. The declaration of confirmation or reaffirmation by the Roman Pontiff in this case is not a new dogmatic definition, but a formal attestation of a truth already possessed and infallibly transmitted by the Church. The Supreme Pontiff, while not wishing to proceed to a dogmatic definition, intended to reaffirm that this doctrine is to be held definitively, since, founded on the written Word of God, constantly preserved and applied in the Tradition of the Church, it has been set forth infallibly by the ordinary and universal magisterium. Before giving examples of doctrines in this category of teaching, something wants to be said regarding an important footnote in the document, one we would like to quote in its entirety as it shows how the present Roman Pontiff thinks of the universality of the “ordinary and universal magisterium.” We posit these thoughts for further development later, in our discussion of the “collaborative relations” that Traditionalists can have with the Holy See. It has already been noted that many truths of this second category are articles of the Faith that Traditionalists seek to defend against what they perceive to be a ubiquitous dogmatic minimalism. Related to this is the controversy on the nature of the ordinary and universal magisterium. Furious debates take place – and often entirely exclusive of Traditionalist participants – on whether the universality of the ordinary and universal magisterium is one of both time and space or one of space only. In other words, do we include only today’s episcopacy in a discussion of the universal magisterium, or does “universal” imply also the entire history of the Church? The present Roman Pontiff has indicated that he considers the universality of the ordinary and universal magisterium to be what he calls a “diachronic,” and not merely a “synchronic,” universality, i.e., its universality is of time and space and not of space only. It should be noted that the infallible teaching of the ordinary and universal magisterium is not only set forth with an explicit declaration of a doctrine to be believed or held definitively, but is also expressed by a doctrine implicitly contained in a practice of the Church’s faith, derived from revelation or, in any case, necessary for eternal salvation, and attested to by the uninterrupted Tradition: such an infallible teaching is thus objectively set forth by the whole episcopal body, understood in a diachronic and not necessarily merely synchronic sense. Furthermore, the intention of the ordinary and universal magisterium to set forth a doctrine as definitive is not generally linked to technical formulations of particular solemnity; it is enough that this be clear from the tenor of the words used and from their context. Cardinal Ratzinger used his “diachronic” hermeneutic in explaining a declaration by the pope confirming or reaffirming the ordinary and universal magisterium, a declaration which “is not a new dogmatic definition, but a formal attestation of a truth already possessed and infallibly transmitted by the Church.” His concrete example of a papal reaffirmation, the male-only priesthood, shows that it is the office of the Roman Pontiff to confirm his brethren in what has been traditionally taught and believed by the whole Church. He and he alone can do so infallibly. He can do it even without a solemn definition, because he is confirming tradition (“a truth already possessed and infallibly transmitted by the Church”). This line of reasoning is quite welcome to the Traditionalist, not only for its emphasis on tradition in determining Catholic truth, but also for the role it gives the Roman Pontiff, whose proper authority Traditionalists see as having been eclipsed by an egalitarian view of episcopal collegiality. Examples of doctrines of this second category are, by historical necessity: the legitimacy of the election of a pope, the celebration of an ecumenical council, the canonizations of saints, and Leo XIII’s declaration, in Apostolicae Curae, of the invalidity of Anglican orders; by logical necessity: the primacy and infallibility of the Roman Pontiff as it was known before its definition at Vatican I, the moral teachings on the illicitness of prostitution and fornication, and the doctrine of a male-only priesthood. Just as the doctrines on the papacy were “promoted” to the first category at Vatican I, DC notes that the Church’s teaching against women’s ordination is subject to a similar elevation to the highest category. We teach, therefore, that the object of infallibility extends as far as the deposit of faith and as far as the office of guardian it demands. And so We teach that the prerogative of infallibility with which Christ’s Church is endowed embraces not only the whole revealed word of God but also everything that, although in itself not revealed, is necessary for safeguarding the revealed word, for certainly and definitively proposing and explaining it for belief, or for legitimately asserting and defending it against the errors of men and the contrary oppositions of so-called knowledge. This developed outlook on the Church’s teaching authority grew out of the work of Vatican I’s schema, which, while never approved, does reflect the theology of its day, since competent theologians prepared the text for the Council Fathers. And as Gaillardetz points out, the theological manuals of the nineteenth and early twentieth centuries generally labeled most of what is included in this category as “the secondary object of infallibility.” Although stated in different language, the new proviso of Canon Law and the Professio is conceptually identical to what is found in the theology books referenced by Traditionalist priests and used in their seminary formation. III. Our third category is “ordinary teaching on faith and morals.” Citing LG 25, the Catechism of the Catholic Church spells out how Christians are to receive such doctrines: “To this ordinary teaching the faithful ‘are to adhere to it [sic] with religious assent’ which, though distinct from the assent of faith, is nonetheless an extension of it.” The passage in LG speaks of a “religious assent [assensus religiosus] of mind and will.” This assent is distinguished from the assensus fidei of the first and second categories on our list. To this paragraph belong all those teachings on faith and morals – presented as true or at least as sure, even if they have not been defined with a solemn judgment or proposed as definitive by the ordinary and universal magisterium. Such teachings are, however, an authentic expression of the ordinary Magisterium of the Roman Pontiff or of the College of Bishops and therefore require religious submission of will and intellect. Divine assistance is also given to the successors of the apostles teaching in communion with the successor of Peter, and in a particular way, to the Roman Pontiff as Pastor of the whole Church, when exercising their ordinary Magisterium, even should this not issue in an infallible definition or in a “definitive” pronouncement but in the proposal of some teaching which leads to a better understanding of Revelation in matters of faith and morals and to moral directives derived from such teaching. When the Magisterium, not intending to act “definitively,” teaches a doctrine to aid a better understanding of Revelation and make explicit its contents, or to recall how some teaching is in conformity with the truths of faith, or finally to guard against ideas that are incompatible with these truths, the response called for is that of the religious submission of will and intellect. This kind of response cannot be simply exterior or disciplinary but must be understood within the logic of faith and under the impulse of obedience to the faith. 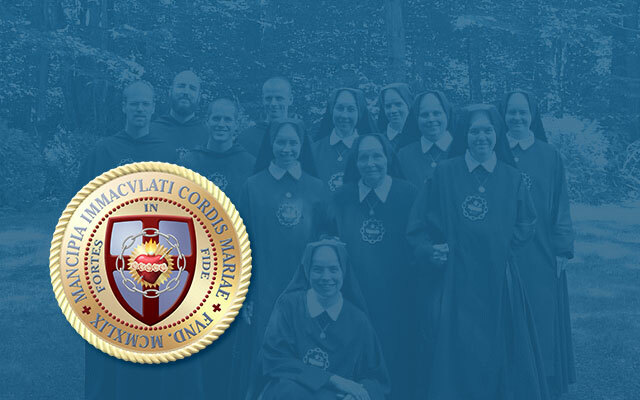 This category is now generally called the “authentic magisterium.” We could also call these teachings part of the “merely ordinary magisterium,” in order to distinguish them from the ordinary and universal magisterium. But before being bound to give such an [“absolute and irrevocable”] assent, the believer has a right to be certain that the teaching in question is definitive (since only definitive teaching is infallible); and the means by which the definitive intention, whether of a council or of the pope, may be recognized have been stated above. It need only be added here that not everything in a conciliar or papal pronouncement, in which some doctrine is defined, is to be treated as definitive and infallible. For example, in the lengthy Bull of Pius IX defining the Immaculate Conception the strictly definitive and infallible portion is comprised in a sentence or two; and the same is true in many cases in regard to conciliar decisions. The merely argumentative and justificatory statements embodied in definitive judgments, however true and authoritative they may be, are not covered by the guarantee of infallibility which attaches to the strictly definitive sentences – unless, indeed, their infallibility has been previously or subsequently established by an independent decision. In Chapter IV we will go into more detail on the “reformability” and possibility of error in teachings of this class. As examples of doctrines belonging to the third paragraph, one can point in general to teachings set forth by the authentic ordinary Magisterium in a non-definitive way, which require degrees of adherence differentiated according to the mind and the will manifested; this is shown especially by the nature of the documents, by the frequent repetition of the same doctrine, or by the tenor of the verbal expression. The text also offers different forms of binding which arise from different levels of magisterial teaching. It states – perhaps for the first time with such clarity – that there are magisterial decisions which cannot be and are not intended to be the last word on the matter as such, but are a substantial anchorage in the problem and are first and foremost an expression of pastoral prudence, a sort of provisional disposition. Their core remains valid but the individual details influenced by the circumstances at the time may need further rectification. In this regard one can refer to the statements of the Popes during the last century on religious freedom as well as the anti-modernistic decisions at the beginning of this century, especially the decisions of the Biblical Commission of that time. As a warning cry against hasty and superficial adaptations they remain fully justified; a person of the stature of Johann Baptist Metz has said, for example, that the antimodernist decisions of the Church rendered a great service in keeping her from sinking into the liberal-bourgeois world. But the details of the determinations of their contents were later superceded once they had carried out their pastoral duty at a particular moment. It is commonplace for theologians to assign the Church’s teachings on bioethical issues to this category. Certainly this field, with its ever changing object of study, would have us on the “leading edge of developing doctrine,” to use the words of Dr. Germain Grisez, whom we will later cite at greater length. Some, such as Dr. Marcellino D’Ambrosio, even place the traditional teaching against birth control in this area of non-definitive doctrine. To the point of our present study, there are theologians who will claim also that most of the teachings of Vatican II fit this category. But that will be the subject of Chapter IV. An external assent, or obedience, is due to the teachings of this category. While the theologian would be wrong to advance that the magisterium would habitually teach error, the possibility of error entering into this level of teaching is stronger than with the previous category. I do not accept this fourth category, but it will be found in various theologians’ work. Richard R Gaillardetz gives the following names to these levels: (1) Definitive Dogma, (2) Definitive Doctrine, (3) Non-definitive, Authoritative Doctrine, (4) Prudential admonitions and Provisional Applications of Church Doctrine. Cf. Richard R. Gaillardetz, Teaching With Authority: A Theology of the Magisterium in the Church, Theology and Life Series, Vol 41 (Collegeville: Liturgical Press, 1997), 102. It was superseded by the 1998 version. Because the three paragraphs correspond numerically to the three categories, the documents refer to “truths of the first paragraph,” “truths of the second paragraph,” etc. The formerly one-paragraph Canon now has a second paragraph, which reads: “Furthermore, each and everything set forth definitively by the Magisterium of the Church regarding teaching on faith and morals must be firmly accepted and held; namely those things required for the holy keeping and faithful exposition of the deposit of faith; therefore, anyone who rejects propositions which are to be held definitively sets himself against the teaching of the Catholic Church.” A disciplinary canon (1371, 2) was added to establish penalties. Similar additions were made to the Code of Canons of the Eastern Churches. Rom. 16:26, cited by LG, 25, 2. All Vatican II citations taken from: J. L. Gonzalez and the Daughters of St. Paul, eds., The Sixteen Documents of Vatican II (Boston: Daughters of St. Paul, 1967). Dei Filius, 3, Tanner translation. Online; available from: http://www.piar.hu/councils/ecum20.htm [accessed 19 April 2006], emphasis mine. Cf. CIC 750 §1.Note: because much of our source material already has italics, our emphases throughout this Thesis will be underlined. Ludwig Ott, Fundamentals of Catholic Dogma (Rockford, Ill: Tan Books and Publishers, Inc., 1974), 298. LG, 25. The phrase “even more clearly verified,” would imply the comparatively lesser clarity of the ordinary and universal magisterium. DC, 6. The new norms this motu proprio added to Canon Law pertained to this second category. E.g., Marcellino D’Ambrosio, Ph.D., Norms of Catholic Doctrine, Lecture 12: “Conclusion,” DVD-ROM (2005 Catholic Educational Television, Inc.). Gaillardetz, who says “The category itself is somewhat controversial,” (117), goes on to say that it “contains some serious ambiguities,” concluding that “it is quite possible that many if not all of the doctrinal pronouncements placed in this category could just as easily be placed in the following category, namely, nondefinitive, authoritative doctrine.” This, of course, would make those teachings non-infallible. His only criteria seems to be the arbitrary and gratuitous one that “unlike dogma, there is no question of these teachings mediating some aspect of God’s saving offer.” In farness to Gaillardetz, we should say that he has changed his mind since writing this book in 1997, we assume, due to the benefit of the 1998 documents we have discussed. In a 2003 book, By What Authority? (Collegeville: Ligurgical Press), he stated that the truths of this category are infallible (p. 99). Collegially, and under the Supreme Pontiff. We have taken the liberty to correct Roy Deffari’s translation of constanti as “common,” which is not as satisfactory as the cognate “constant.” Constant connotes immutability over time, whereas common need not. What is now common can be uncommon tomorrow. What is constant does not change. Denz., 1683. According to Gaillardetz (185), Tuas Libenter is the first use of the denomination “ordinary magisterium.” The note “and universal” was added at Vatican I. Bl. Pius IX had already spoken of the ordinary magisterium being taught universali et constanti consensu. John F. Clarkson, S.J., John H. Edwards, S.J., William J. Kelly, S.J., John J. Welch, S.J., eds., The Church Teaches, (Rockford, Ill.: Tan Books and Publishers, 1973), 93. The debates over the reception of Humanae Vitae come to mind, as do several recent false rumors of the Church’s pending approbation of prophylactic devices. D’Ambrosio, Ibid. We disagree, this doctrine belongs to the first or second category, as it has been universally taught. While the text of the Instruction does not delimit this fourth level so clearly, Dulles is not the only theologian to see it distinguished here. He specifies that it “appears to be new in the CDF instruction” (Dulles 111).